I've been feverishly working on a post about Turkeys in the Raw. However, my gerbil-powered laptop (the "Abacus 2000") has been working with a fever. Is the hard drive just malingering or will it commit to crashing this week? Stay tuned to find out. So in the meantime, here's a sneak peek at the next photo bloated post. 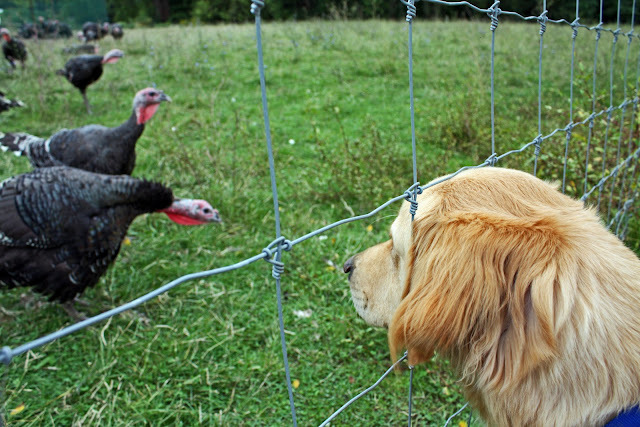 Micron plays chicken with, well, that's actually a turkey, Mr. Mike.